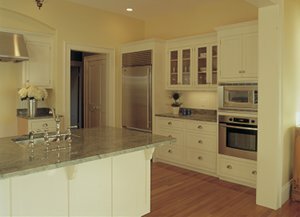 O’Neil Fine Builders can have a kitchen remodeler visit your Wenham MA home today. Are you looking to upgrade your kitchen? Perhaps you’d like to install granite countertops, a deeper sink and new, more efficient appliances. If so, contact your professional North Shore design team— O’Neil Fine Builders. With our 20-plus years of experience, your kitchen remodeling dream quickly becomes reality. Call us at 978-927-7711 or email today to get started. As a design-build contractor, O’Neil Fine Builders covers everything from A to Z. Owner Jim O’Neil keeps communication open so you know the exact details of your project. Get in touch with one of our kitchen remodelers in Wenham MA today. Bringing 20+ years of quality and professional craftsmanship to your doorstep, O’Neil Fine Builders is here to help with your home remodeling project. Simply call us at 978-927-7711 or email us today to get in touch with a Wenham MA kitchen remodeler you can rely on. .